Doctor Who fans will get the reference. For Harry Potter fans we’ll say my grooming bucket is Hermoine’s beaded handbag. And if you still don’t get that reference, I don’t think we can be friends. 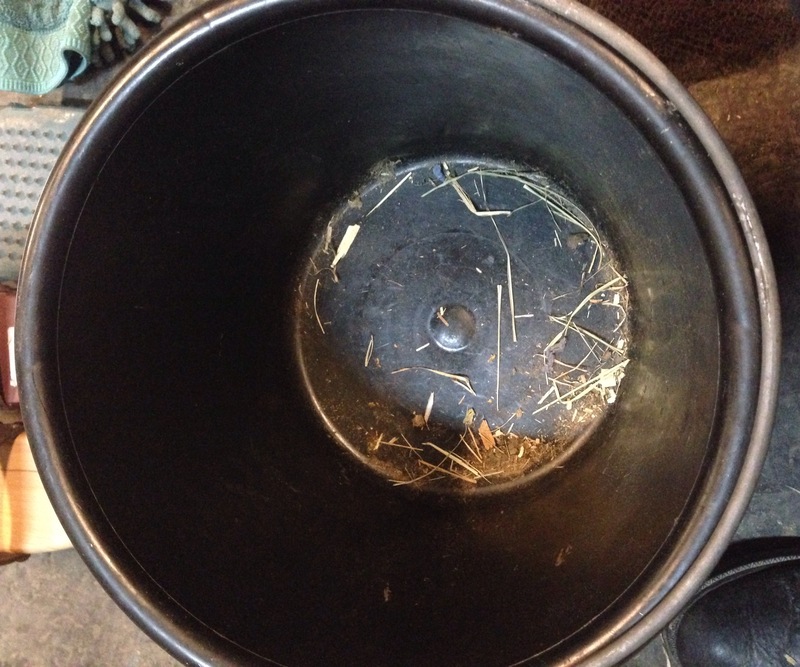 The point of course is that my grooming bucket must be bigger on the inside than it is on the outside, because there’s so much crap crammed in there it doesn’t seem physically possible. 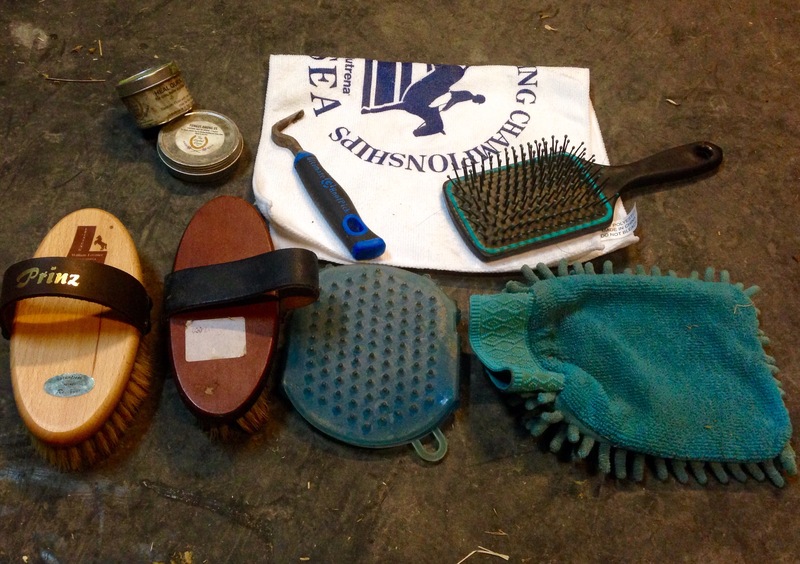 Breeches and Boat Shoes posted a while back (ok, two months ago) about what’s in her grooming bag. Emma picked up on it yesterday as an unofficial blog hop, and so now here I am copycatting. For some reason I find it fascinating to see how much crap, and exactly what crap, people can and do fit into their grooming totes. Nice collection of hay and shavings that have been collecting for who knows how long. If nothing else, this little unofficial blog hop finally got me to clean out my grooming bucket. Next It’s renewal season – how do you choose? Mary Poppins’ bag would also work in reference to your grooming bucket, how on earth do you fit all that!? I came THISCLOSE to including a Mary Poppins reference but I figured I’d already reached my nerd quota. Obviously the bucket is magical. HA i love the Tardis, Hermoine, and Mary Poppins references. I use all three of them quite often in my day to day world. Sad but true. I was thinking Mary Poppins too. I’m impressed by the amount of stuff in your bucket! Honestly, I didn’t even know half of it was in there. So much grooming equipment! 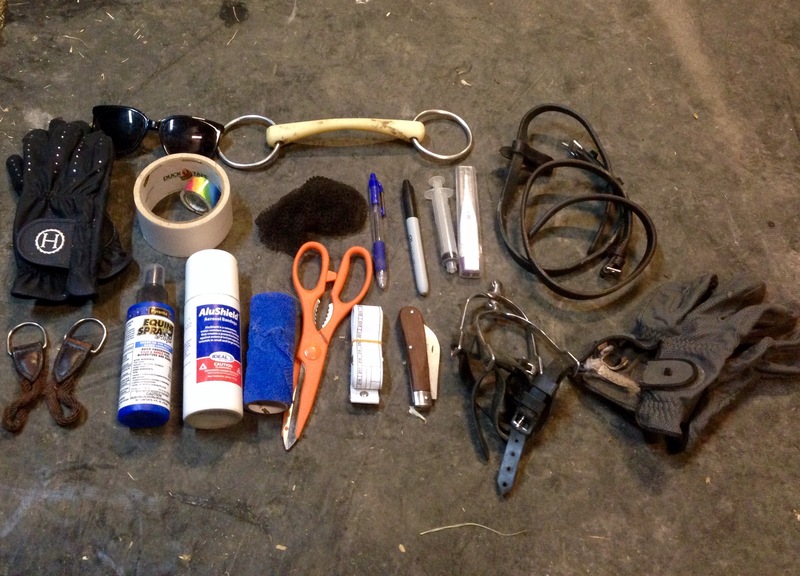 I’ve decided that since I need to groom 2 horses now, I reserve the right to have lots of grooming equipment. Logical, yes? I think mine is mostly dirt and crap. I need to clean it, but 12f and screw that noise. So glad this caught on! Is it creepy that I like reading this stuff? Ha ha ha – dirt and crap. Love it. I also use a bucket. But one of those big hanging race feed buckets. It might consist of mostly bailing twine and some goat feces. Ok, question. Is the microfiber mitt really magical, or is a white towel just as good? I’ve always used towels, but now I’m feeling like I missed the memo on it or something. Share your ways, oh grooming guru! The white towel is microfiber too. 😉 I think they lift dirt better. So much stuff in such a little bucket! 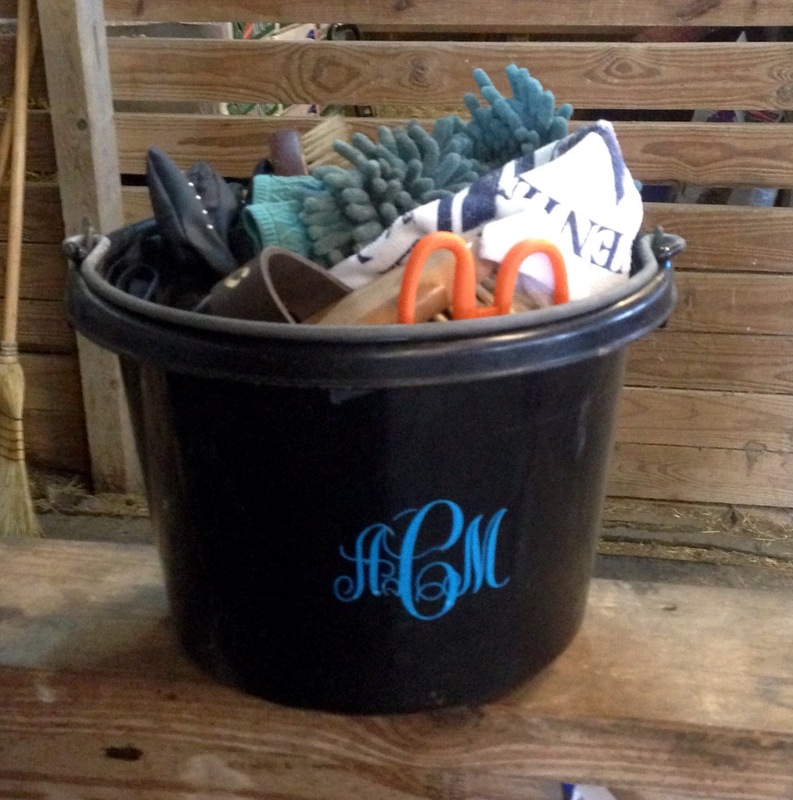 Good idea putting a monogram on it. I might have to do that with my grooming tote. I got both references(though I’m not a Whovian). I’ve seen a few episodes and my friend is super into so I know quite a bit about it.